Every January, hear it said: Ullr! Ullr! For decades Breckenridge has been in the myth-making business – creating memorable vacations, fantasy-good lifestyles for locals and rhapsodic alternates for second-home owners. Never is this myth making more apparent than in January when, giddy with leftover holiday cheer, the town revives the pageant of Ullr, ski-town style. 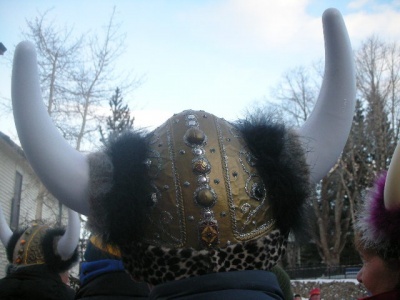 For more than 50 years, we’ve pretended Ullr Fest was some kind of ancient ritual from the nebulous old country and Ullr was the Norse god of snow. Not that we adore false idols here. We simply know we’re crazy to be living in a place where snow can pile up so high it meets the snow sliding from the roof. We need a winter festival that’s just for fun. 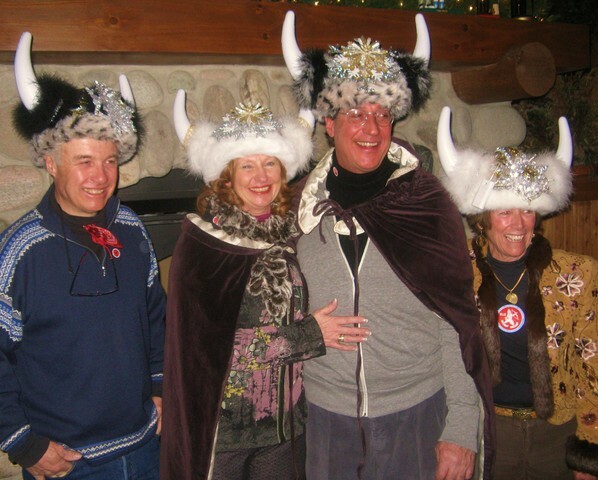 So, our legend of Ullr is a complete fabrication created by ski-town hippies and members of the Breckenridge Resort Chamber, who began spinning this myth way back in the 60s. Every January, the myth gets magnified and confabulated, possibly aided by spirits - spirits of the kind usually found in mugs and flasks. Like St. Bernard dog of cartoon lore, we carry these spirits around to warm ourselves and friends. And we dress like bundled-up snow royalty from a time when fur was big, while we crown kings and queens of Ullr, have skating and skiing parties, play silly games, make bonfires and watch the parade. We flock to Main Street to chant Ullr! Ullr! from under the horns of our Viking-esque costumes. Ullr! Ullr! we repeat stomping our bundled arms and legs as we wait curbside for this year’s mythology to roll down the street on flatbeds. Will we see the return of the Synchronized Waxing Team, or the Lost Snow Mine and the Rabid Powder Seekers or the Train to Debauchery? Almost certainly there will be under-clothed, winter-dwellers jumping on skis from off the back of a truck parading down Main Street. And most definitely there will appear ridiculous plays on words like “Don’t Ask; Don’t Tele". When you Google Ullr, there’s the wiki stuff about Norse mythology, with several spellings and references to a minor god, hardly mentioned in old literature. A god of winter, archery, the hunt, and several similarities to our Ullr: a great physical character, a multi-dimensional athlete, devotee of skis and snowshoes. Some legends say he taught everyone to ski. Web Cams: Mountain & Main St.